Frank Dutton, the State Capture Commission’s lead investigator in the Bosasa case, told the state capture inquiry on Tuesday that the Sheraton Hotel’s manager had confirmed that Myeni was booked in room 616 over two days in September 2015. Agrizzi had testified to a meeting in a private nook on the sixth floor of the hotel where she allegedly handed them the documents – he was not allowed to copy them but had secretly taken photographs of a few of the pages. Guest records obtained, Dutton testified, showed Myeni’s signature on a client card for the hotel booking marked “Jacob Zuma Foundation”. The account was settled by a travel agent in early October that year and the final bill included a charge for the Mopani Board Room on the hotel’s seventh floor, he said. Bosasa. More of Zapiro’s brilliant work available at www.zapiro.com. Dutton said he had first meet Agrizzi in December 2018 when the former Bosasa executive showed him several photographs of documents relating to the ongoing criminal investigation into the company that included confidential monthly audit and progress reports by the Anti Corruption Task Team of the National Prosecuting Authority. “Mr Agrizzi described the layout of the sixth floor of the Sheraton Hotel where the alleged the meeting between himself, Ms Myeni and Mr Gavin Watson had occurred. He described it as a restricted lounge/dining area,” said Dutton. That particular lobby was a restricted area only accessible with the use of a hotel guest card. Key to Dutton’s testimony though is the peculiar background image, identified as a carpet, on photographs that Agrizzi had taken of some of the documents allegedly given to him to “read” by Myeni. Agrizzi gave those to investigators and Dutton said once he examined the images, he spotted, on the edge of some of the photographs, what looked like a pattern of a carpet. 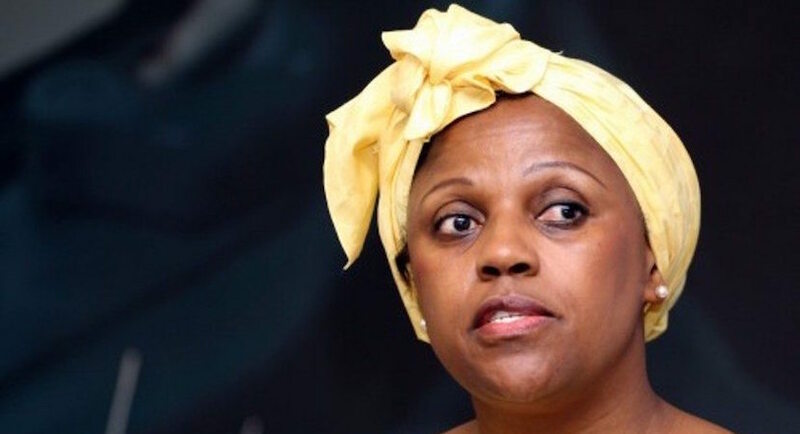 Guys – Dudu Myeni is going to have to answer how she got confidential documents relating to Bosasa investigation by the Hawks because the #StateCaptureInquiry managed to match a carpet pattern of the Sheraton Hotel. Investigators have since inspected the hotel and checked the carpets on the sixth floor, where the alleged meeting took place, against Agrizzi’s photographs and believe they are a match, the commission has heard. Dutton said investigators have shown the photographs to senior state advocate M. de Kock, the original prosecutor in the Bosasa case and a Colonel Moodley, adding that both told them they appear to be ACTT progress reports dated August 2015. This means Myeni would have given Agrizzi and Watson a fresh update among the documents allegedly shared at the hotel that September. “These are not publicly available documents, they are correspondence between the police and the NPA,” Dutton said. Agrizzi’s phone did not contain the metadata for the images but, Dutton said, upon completing his evidence before the commission, Agrizzi voluntarily handed his devices to the commission’s digital forensic team and they have since conducted an examination thereof. Dutton testified that they found the file where the photographs had originally been recorded and a metadata analysis by experts confirmed that they were taken in the “vicinity” of the Sheraton Hotel and that they were taken on September 23 2015 – supporting Agrizzi’s testimony of the alleged meeting with Myeni. Dutton’s testimony followed that of two other witnesses who had provided the commission with backing for elements of Agrizzi’s testimony. They included Themba Mlambo, one of the other investigators who had conducted a spot check on the homes of various politicians, among them Environmental Affairs minister, Nomvula Mokonyane and deputy minister of justice and constitutional development, Thabang Makwetla, who allegedly had had private security installed at their properties courtesy of Bosasa. Mlambo had been taken to these properties by Bosasa employee, Richard Le Roux, the man who had overseen the security installations, dubbed “special projects”. In addition, the commission heard from Gregory Lawrence, a former employee of Equal Trade, a company that allegedly helped supply Bosasa with hard cash for its bribe system. Lawrence testified to how he had made several drops of around R500,000 to over R1m at times at Bosasa’s Krugersdorp office. This money, Lawrence testified, was generally cash (received in plastic bags or boxes) which he had been paid as a food and booze supplier to buyers in other African countries. Bosasa would then transfer the equivalent via EFT to the company. 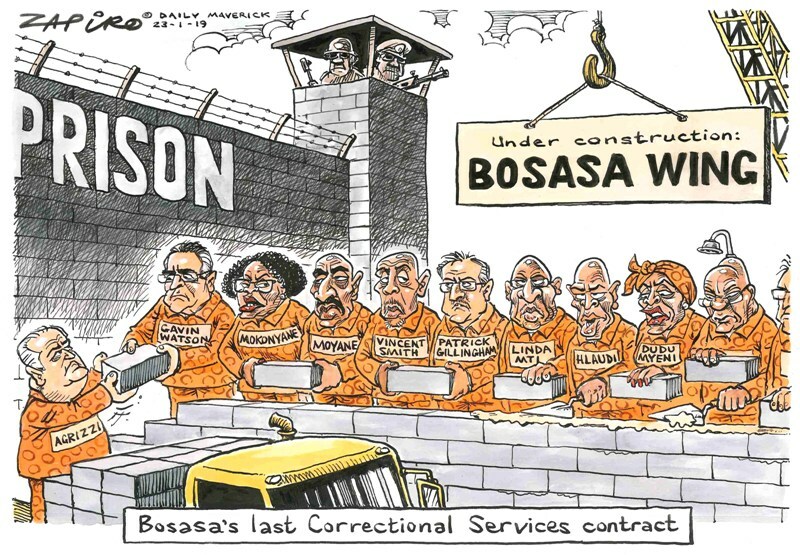 Earlier testimony by Agrizzi had revealed how Bosasa used all sorts of crazy schemes to generate money for bribes. Lawrence said he was at some point removed from the cash operation but told the commission that he had later, inadvertently, been sent an e-mail from someone at Bosasa containing documents that included “purchase orders” for items like “samp, rice, maize,” from Equal Trade. When he asked his then boss, Greg Lacon-Allin of Equal Trade about this, Lawrence said he was told there had been another cash order. *Current News24 Editor-in-Chief, Adriaan Basson, a journalist who has covered the Bosasa story for more than a decade, was a surprise witness at the state capture inquiry on Tuesday morning. Basson testified about various threats he received from people allegedly associated with Bosasa – including a media consultant, Benedicta Dube – who had called him once for a nearly 20-minute long conversation in which she had warned him to back off the story. In that conversation, Basson said, Dube rattled off a long list of names of family members and friends, their professions and addresses – information not generally publicly available. The objective of that call, like with the others, was to intimidate him to stop writing about the company.